2018 has been an excellent year for the mobile industry, we have seen a majority of smartphone manufacturers stepping up in the competition showing off their innovations in smartphones. There were definite radical changes regarding design elements in smartphones that raised eyebrows for mobile phone enthusiasts. Every year, all those innovative smartphone manufacturers have one flagship smartphone, which is pretty evident and that smartphone decides which company has nailed it in the industry for that year. So, we at PhoneRadar have decided to give away awards to the respective smartphones, in return to what they have offered considering their design, performance, durability and other compelling features. The following are the Runner-ups we have shortlisted for our PhoneRadar Awards Best Flagship Smartphone of 2018. Back in May, LG had launched its premium flagship phone – the LG G7 ThinQ. On paper, LG brought the top-of-the-line specifications that include Snapdragon 845 SoC coupled with Adreno 630 GPU and 4GB of RAM/64GB storage option. It also featured dual cameras (16MP+16MP) on the rear and an 8MP front-facing camera. Despite the flagship specifications, the LG G7 ThinQ delivered a 6.1-inch LCD display, which is certainly a poor selection for a flagship phone, considering the contraries offering LED displays. The G7 ThinQ has also underperformed in terms of the battery as well; the phone was fueled by a 3,000mAh battery, which could have been better, considering the flagship specifications henceforth ended up as the runner-up in our Smartphone awards. Asus has unveiled its flagship Zenfone 5Z smartphone with a 6.2-inch notch LCD display. Similar to the G7 ThinQ, the Zenfone 5Z also packs in powerful specifications including the latest Snapdragon 845 octa-core processor along with Adreno 630 graphics. As for the cameras, the Zenfone 5Z featured dual cameras (12MP+8MP) on the rear along with 8MP on the front. Although the specs of the Zenfone 5z are flagship worthy, still, the design doesn’t appeal much when compared to the competition, and furthermore, there’s a room for cameras improvement as well. Notably, this flagship has some top features packed, let us hope the successor does well in that department. The successor of Pixel 2/2 XL, which already had the most incredible camera in any smartphone, has been released by Google – the Pixel 3 and Pixel 3 XL, this year. There’s no denying that these are amazing smartphones with powerful specifications and exceptional cameras with Google AI & Machine Learning capabilities. But, a flagship phone isn’t just about the camera, the Pixel 3/3 XL devices, both have faced a lot of bugs, overheating issues, unexpected shutdowns in a span of two months after the launch. The software related issues alongside the not so appealing design overshadowed the goodies offered by the Pixel 3 devices, like the better camera, wireless charging, for instance. Henceforth these great devices haven’t made up to our final top 3 flagship smartphones list in PhoneRadar Awards 2018. Huawei has been in the spotlight ever since the launch of its first triple camera smartphone – the Huawei P20 Pro, early this year. Later, not long ago, the company had come with its new flagship phone the Huawei Mate 20 Pro. This phone has certainly raised eyebrows in the smartphone industry by bringing a beautiful glass design, top-of-the-line specs, triple camera setup with a different design approach and this is undoubtedly the world’s first smartphone for bringing both 3D Face Unlock along with the in-display fingerprint scanner. The Mate 20 Pro has a one of a kind high-end camera that brings you different modes of lenses, not just a portrait mode, but also a wide-angle lens. Apart from the great camera, the battery performance on the Mate 20 Pro is remarkable as well, featuring a 4200mAh battery that is indeed hard to kill. Furthermore, it has a unique reverse wireless charging, that helps you charge any other Qi wireless supported device by placing it on the rear of the Mate 20 Pro smartphone. Despite being a significant smartphone with Kirin 980 processor and smarter utilization of Triple Leica cameras, a better front facing camera and a better software experience would have certainly made the Mate 20 Pro the best flagship of this year; hence it settles for the #3 position in our Best Flagship Smartphone Awards of 2018 category. OnePlus, the Chinese brand has nurtured to be one of the significant trusted brands in India. This year, OnePlus has brought its two flagship killers within a span of the conventional 4 months that happened to be – the OnePlus 6 and the OnePlus 6T. While the specs don’t differ that much between these phones, there are minor noticeable changes in terms of design and the prominent battery department as well. OnePlus is known to bring killer specs in its affordable price range and the 6T isn’t any different it packs in the latest Snapdragon 845 processor alongside 6/8GB of RAM and Adreno 630 GPU. On the camera front, the OnePlus 6T features 16MP+20MP cameras and the selfie camera brings in a 16MP sensor. The Android 9.0-based Oxygen OS 9.0.5 on the 6T is considered to be the best way to experience the pure version of Google’s Android after the Pixel devices. The OnePlus 6T is indeed a powerful phone at the most affordable price, and the perks of the 6T would be the Oxygen OS, the new in-display fingerprint scanner and an exclusive physical hardware switch – the Alert Slider. Well, the OnePlus 6T isn’t entirely perfect as well, it lacks the headphone jack, the cameras need more improvements when compared to other flagships out there. And, the display on the OnePlus 6T is still 1080p, which doesn’t match up with other flagships. We hope OnePlus looks into these elements next year and brags the #1 award with its next phone in our PhoneRadar Awards best Flagship Category. As per our testing, the Samsung Galaxy Note 9 checked all the necessary boxes for being a perfect flagship smartphone. The Note 9 offers a beautiful Super AMOLED Infinity Display, which is the best display in any smartphone, period. The big 6.4-inch display has a pixel density of 516ppi that works great in the outdoors as well. It is powered by an Exynos 9810 octa-core processor, which handles the day-to-day tasks effectively and the notable S Pen is undoubtedly an added convenience, which helps you interact more with the bright display. The dual cameras capture one of the most beautiful images. The battery backup is substantial with the built-in 4000mAh battery. It still has the 3.5mm headphone jack, which is gold in today’s flagships. Adding all the required boxes that are needed for a smartphone makes the Galaxy Note 9 – the Best Flagship Smartphone of 2018 in our PhoneRadar awards. The following are the Runner-ups we have shortlisted for our PhoneRadar Awards Best (High-End) Midrange Smartphone of 2018. OPPO has launched the OPPO F9 Pro earlier this year, with the smartphone being the first phone to feature the OPPO’s conventional VOOC fast charge support. This phone was catered to higher midrange segment also featuring first Corning Gorilla Glass 6 protection. However, the market at the point of release was already being dominated by OPPO’s sub-brand Realme’s first phone – the Realme 1 smartphone. The Realme 1 had better storage options and had made the OPPO F9 Pro – the runner-up of this year’s higher midrange awards segment. Nokia has started to come with some exciting new phones this year. primarily with good hardware and smoother software experience – thanks to the Android One program. And Nokia 8.1 wasn’t also different. It was one of the cheapest Android smartphone featuring Qualcomm’s Snapdragon 710 chipset and also the HDR display. Despite the better hardware, the cameras on this phone fall flat when compared with the competition. The company now also opted for the glass back body instead of the sturdy metal unibody design as seen with its predecessor. Samsung has introduced the world’s first Quad cameras smartphone with the launch of Galaxy A9 smartphone. It featured four cameras and one selfie shooter, totaling up to 5 cameras, which happens to be the first phone in featuring so. However, cameras aren’t only the one element consumers notice to buy a smartphone, especially in this higher midrange smartphones segment, since there are multiple other smartphones that offer better features and hardware. Huawei’s sub-brand Honor has been targeting the midrange segment in the country by launching premium phones with lots of features and better hardware. The company had launched the Honor Play smartphone for Rs 19,999 in the Indian market. It comes powered by the 10nm Kirin 970 octa-core processor which offers flagship-level performance in the midrange segment. 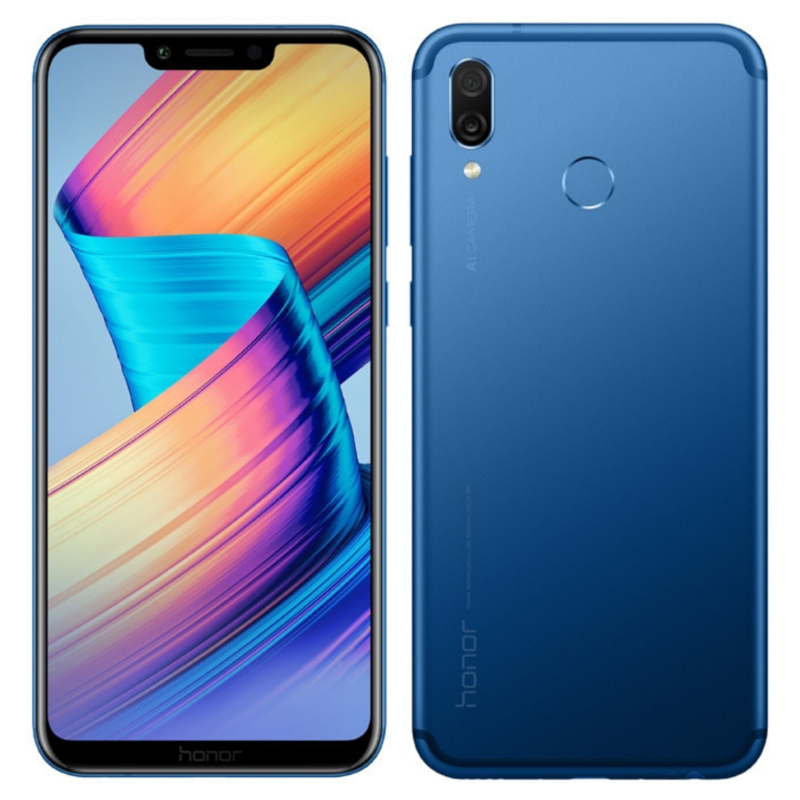 With the Honor Play, the company also introduced the GPU Turbo which further enhances the performance of the device for a lag-free gaming experience. While the battery life is decent enough to last till the end of the day, the cameras are a big let down. Overall, the Honor Play manages to get its place in the winner’s list but only at third place. With the aggressive price tag and innovative features, Vivo surprised everyone with the Vivo V11 Pro. While the Rs 25,990 looks decent for a Vivo smartphone, even more aggressive approach by the competition makes the Vivo V11 Pro look a bit overpriced. Unlike many other midrange smartphones, the Vivo V11 Pro comes with a Super AMOLED display with waterdrop notch that increases the screen-to-body ratio. It is also the most affordable smartphone to offer an in-display fingerprint sensor. The Snapdragon 660 SoC and cameras are just good enough for this segment. The Fiberglass body makes the device looks premium and also lightweight. With the restrictive FunTouch OS and MicroUSB 2.0 port, the Vivo V11 Pro has to settle for the second best award. The launch of POCO F1 by Xiaomi raised many eyebrows in the industry. The Qualcomm Snapdragon 845 chipset for a smartphone priced at Rs 21,999 is just a steal deal. While the chipset on this device offers flagship performance, the build quality and rest of the specifications brings it down to the high-end midrange segment. Even the liquid cooling for this price makes the POCO F1 one of the best options for a gamer. Even the cameras with AI features are best we can expect in this price bracket. With the display issues reported by several users, the device isn’t perfect as well. When all the factors are considered, the POCO F1 manages to come out on top for the PhoneRadar Awards for the Best High-end Midrange Smartphone of 2018. While we have seen the high-end midrange smartphones, let’s look at the interesting midrange phones that have been nominated in our PhoneRadar Best Smartphone Awards 2018. As stated, this midrange segment of smartphones is vast in the majority in terms of sales in our country since these start at reasonable pricing with some notable features and hardware. Considering this as the highly competitive price range segment, these are the midrange smartphones we have selected for PhoneRadar awards. The following are the Runner-ups we have shortlisted for our PhoneRadar Awards Best Midrange Smartphone of 2018. Motorola has been one of the fewest companies that started launching the midrange smartphones a couple of years ago. Users liked the better hardware and the stock Android experience that those smartphone offered. The Moto One Power is no different; it is one of the rarest come to come with Fast charging in this price point and the phone featuring a 5000mAh battery in this segment. However, Motorola is not the only company offering midrange smartphones anymore, and also the device doesn’t match up to the other competitors’ offerings. The Xiaomi Redmi Note 6 Pro that launched a couple of months ago hasn’t had any notable changes from its predecessor. When compared, the design appears identical, and the build seems the same and the processor is no different. The only exceptions were a slight upgrade in the camera department and the display. Having said that, this cannot make the Redmi Note 6 Pro compete to the top list of midrange smartphones, and also the annoying ads filled User Interface lessens the overall experience of using the Redmi Note 6 Pro. Chinese manufacturer Vivo has also been growing its midrange smartphone line-up. The Vivo V9 Pro has been one such device that shows the company’s potential in this price segment. The device comes with good hardware, a better Snapdragon 660 chipset, for instance, and better cameras as well. Nevertheless, the clunky Android-based FunTouch UI experience makes the phone miss our Top Winners list in our awards segment. Here are the Top 3 Winners of PhoneRadar Awards 2018 in the Best Midrange segment. Realme’s successor to the Realme 1 – the Realme 2 Pro has been a noteworthy upgrade, it features a better display with the conventional WaterDrop Notch design and also comes with midrange powerful processor – the Snapdragon 660. The device was launched at Rs 13,990 had better cameras, more RAM and decent battery life as well. Despite being the great design and hardware smartphone, the ColorOS on the Realme 2 Pro can be considered to be a shortcoming, and henceforth this great smartphone settles at number three in our best midrange smartphone awards segment. Honor has been on a spree of launching smartphones this year catered to different price points. The Honor 8X can be considered as one of the good smartphones amongst the lot in the midrange price segment. The device offers the best hardware and cameras. The 8X is powered by Huawei’s Hisilicon Kirin 710 Chipset, which is supposed to be a powerful midrange octa-core processor. The 8X captures great pictures as well – thanks to the dual 20MP+2MP cameras. The phone has all the necessary elements to become the #1 smartphone in this segment, be it the larger notch display, the competitive pricing – starts at Rs 14,990; however, the software experience could have been better, for instance, the stock Android experience would have certainly made it – the number one smartphone in our midrange smartphone awards list. The Asus Zenfone Max Pro M2 has topped our Best Midrange smartphone awards list of this year. It fits to be named as the perfect phone in the midrange segment. Starting with the price, it starts at Rs 12,990, which is already cheaper than our Top 2 & 3 winners and moreover, it also features the better Snapdragon 660 chipset. And, similar to its predecessor the Max Pro M2 gives you Stock Android experience and the company has already promised the latest Android 9.0 Pie roll-out next month, despite not having the Android One Program, which is pretty unusual in this midrange smartphones line-up. The Max Pro M2 has the great build quality and the large 6.2-inch display covered with Corning Gorilla Glass 6 protection. It has multiple storage options and the conventional dual cameras set up (12MP+5MP) on the rear. The M2 also has a bigger 5000mAh battery, that is indeed hard to kill. All in all, fulfilling all the necessary elements of a perfect midrange smartphone, the Asus Zenfone Max Pro M2 takes the cake of our Best Midrange Smartphone 2018 Award. Budget smartphones, which usually start at around Rs 6000 and go all the way up to Rs 10,000, are considered to be the cost-effective devices to experience a smartphone to the new consumers. These smartphones are cheap and are supposed to deliver the sufficient amount of smartphone experience, especially for those remaining consumers who haven’t have used a smartphone in their lives (we doubt if they are any) yet. However, the budget smartphones are only used for those consumers, these have their unique advantages, for instance, the regular smartphone users can also use these devices as a secondary backup device. These can be gifted to kids, who do not necessarily need high-end devices, at least for now. Needless to say, for those who are constrained to a budget, would undoubtedly look under the Rs 10,000 price point. For those in need of that information, you are welcome, we have tested a few of the popular budget smartphones released this year. And, not just testing, we have also chosen to rank/award them, according to their features and performance. So here are the Best Budget Smartphones of PhoneRadar Awards 2018. The following are the Runner-ups we have shortlisted for our PhoneRadar Awards Best Budget Smartphone of 2018. Lenovo has launched its budget smartphone – the Lenovo A5 starting at Rs 5,999, earlier this year. This was apparently one of the budget smartphone featuring a fingerprint sensor for authentication. It also featured a massive 4000mAh battery, which is also quite unusual for a phone under this budget. However, it has undoubtedly lacked a decent processor and under-whelmed in the performance department. Henceforth, it had to settle up in our runner-up category in our best budget smartphones awards segment. Xiaomi has once ruled the budget smartphones segment in the country by bringing decent hardware coupled with premium Snapdragon processors. However, this year Xiaomi has released the Redmi 6 with the latest MediaTek MT6762 P22 chipset alongside a 5.45-inch HD+ display. Despite that, the phone’s design isn’t any new compared to previously released Xiaomi phones and had appeared to be outdated with large bezels surrounding the display. After the surprising success of the Realme 1, OPPO’s sub-brand Realme has launched the Realme 2. It was expected to be the much-anticipated successor to the Realme 1. However, that wasn’t the case with the Realme 2; the phone featured a Snapdragon 450 SoC, and a 6.2-inch HD+ notched display. Technically Realme 1 outperformed the Realme 2, making it another runner-up for this year’s PhoneRadar budget smartphone awards. Here are the Top 3 Winners of our Awards Budget smartphones segment. As stated, Xiaomi has been the only brand in the country that has multiple phones catered to every price range. Despite the Redmi 6 not making to the winners’ list, the company’s selfie-centric smartphone – the Redmi Y2 has made to the top three of our awards list in this segment. The Redmi Y2 was launched at Rs 9,999 in the Indian market. It came with Xiaomi’s ideal Snapdragon 625 chipset, which the company has been using on most of its budget smartphones lately. Anyway, the Redmi Y2’s primary focus was all about selfies, and it came up with a 16MP HDR sensor with LED flash on the front. However, a budget smartphone is not about selfies and cameras, and the usual Ads interface on the Redmi Y2 made it settle at Top #3 on our awards list. Realme 1 was an impressive shocker to everyone in the smartphone industry for its budget pricing and what it had offered. It was launched by OPPO’s sub-brand Realme earlier this year at Rs 8,990. Interestingly, the sub-brand has brought all the noticeable features of earlier released OPPO F9 Pro into a much cheaper price point and thus made the company’s remarkable debut to the Indian market. Although the Realme 1 has lacked the fingerprint sensor from the F9 Pro, considering the price point and its processor and performance offerings, it has been a performer in the budget smartphone segment. However, the clunky ColorOS from Realme on this device is the only let down to the Realme 1 smartphone in becoming the #1 budget smartphone in our PhoneRadar awards category. Not long ago, Asus has unveiled two of its smartphones – the Zenfone Max M2 and the Pro version of it. If you haven’t noticed already the latter had already won the ‘best mid-range smartphone of the year’ in our PhoneRadar Awards 2018. The Max M2 isn’t any different; we believe that the Zenfone Max M2 also can surely be given the crown of the best budget smartphone of the year 2018. Here are the reasons, the M2 has the latest Snapdragon 632 chipset, which was launched by Qualcomm for budget smartphones. It has dual cameras on the rear (13MP+ 2MP), which are great and carry an aperture of f/1.8. The front camera features an 8MP sensor with a soft LED to capture better selfies. The M2 also features the conventional notch HD+ display with a screen size of 6.25-inches. And, lastly, it packs in a bigger 4000mAh battery and most importantly the Stock Android smoother experience with promised timely updates. All these exciting features packed in cost-effective pricing of Rs 9,999 has made us easier to pick the Asus Zenfone Max M2 as the Best Budget Smartphone PhoneRadar Award of 2018. Smartphone photography wasn’t a thing a decade ago, well, that has certainly changed now. Smartphones have become a primary means of capturing photos replacing DSLRs (however, the image quality is still arguably when compared to DSLRs). That said, the image capturing technologies on smartphone cameras has been improved drastically. Year after year phone manufacturers are constantly bringing exciting features combined with AI & Machining Learning capabilities on their flagship smartphones. This year, the majority of smartphones have featured pretty amazing image sensors by featuring dual and tripe camera setups. We at PhoneRadar have tested few of those flagships with such camera setups and have ranked them according to their camera capabilities. The following are the Runner-ups we have shortlisted for our PhoneRadar Awards Best Camera Smartphone of 2018. LG has unveiled its flagship G7 ThinQ with dual-lens cameras on the rear. Unlike, the other smartphones wherein the second lens would be used for depth sensing, LG has opted out for an ultra-wide sensor. The phone featured a primary camera with a 16MP sensor with an aperture of f/1.6 and another secondary camera with 16MP ultra-wide sensor with an aperture of f/1.9. Having the ultra-wide sensor on any smartphone is certainly an added advantage, the G7 ThinQ also captures quite good photographs, and those wide-angle shots look amazing as well. Despite the overall good camera experience on the G7 ThinQ, it certainly struggles in low lighting conditions and henceforth had made it to the runner-up device in our PhoneRadar Awards. OnePlus 6/6T devices, which have been the flagship phones of the Chinese manufacturer are proved to be the powerful Android smartphones in the market. While the internal specifications are top-of-the-line the cameras on these flagships can also be considered to be decent enough. Both the devices share identical dual camera setups on the rear; they feature a 16MP primary sensor with f/1.7 aperture and a 20MP sensor with f/1.7 aperture. The company has recently added Night Shot feature to the 6T, that helps capture better images in low-light conditions. The phones offer the conventional portrait, manual, night sight, and panorama features. The setup has been similar with the OnePlus devices for quite a while now. Despite capturing good photos in broad daylight and even in night conditions (thanks to the newly introduced Night mode), having two cameras with same field of view instead of utilising one of them with a depth or ultra wide angle sensor like other flagships do, this made the OnePlus 6/6T phones to settled down as a runner-up for this year. The Vivo Nex has been launched this year as the first smartphone in the world to feature a motorized pop-up selfie camera. While that camera pop-up has undoubtedly made the phone make its mark globally, the rear camera setup on the Vivo Nex was quite mediocre. Starting with the specs, it features an AI-powered dual camera setup on the rear and are comprised of a 12MP and a 5MP sensors. On paper, these specs don’t feel flagship worthy, and on the regular day-to-day the overall camera performance is decent enough – thanks to AI-powered features and portrait mode shots. However, it lacks optical zoom, which is quite a bummer in this best camera smartphones category and these cameras also struggle in low-lighting conditions. Therefore, the Vivo Nex camera certainly can’t match up to the Top 3 Winner’s list of our PhoneRadar awards. Here are the Top 3 Winners of our Awards’ Best Camera Smartphones segment. If you haven’t noticed already the Galaxy Note 9 has been chosen to be the Best Flagship Smartphone of 2018 in our PhoneRadar Awards. One of the primary reasons would be the Note 9’s camera performance. The already great smartphone comes with a great camera as well. The Note 9 utilizes dual 12MP camera setups on the rear comprising of a wide angle and telephoto lenses. The USP of these cameras would be the adjustable two aperture modes (f/1.5 and f/2.4). This helps Note 9 camera capture better images by taking in more light when necessary. Another interesting feature on the Galaxy Note 9’s camera would be the Live Focus feature that helps you capture amazing portraits shots by adjusting the bokeh effect on the background before or during the image capture. Samsung has also added Scene optimizer on the Note 9 that helps you pick a scene according to the image capture. The company lets you choose amongst the 20 types of scenes recognitions available in the camera app. The S Pen on the Note 9 also helps in capturing great photos by acting as a shutter button on the S Pen. This certainly lets you capture better selfies alongside wide angle shots as well. However, in typical Samsung’s premium phones, the images captured sometime look over saturated especially try colors look overly vibrant, this combined with unnecessary Bixby features make this amazing Note 9 camera settled down to #3 on our awards list. Huawei has brought the industry’s first triple lens camera setup on a smartphone with the launch of Huawei P 20 Pro, earlier this year. Followed by the recently launched Huawei Mate 20 series phones have also featured triple cameras. From these series, the Huawei Mate 20 Pro’s excels in the camera performance department this year. The Mate 20 Pro comprises of tiro lenses notably – a 40MP wide angle primary sensor – a 20MP ultra wide secondary sensor and an 8MP telephoto sensor. These carry apertures of f/1.8, f/2.2, f,2.4 respectively. The company has brought Leica optics to the Mate 20 Pro’s triple rear camera setup, which is undoubtedly the best all-around camera setup on any smartphone. The company brags about the multiple zoom options available on the Mate 20 Pro – thanks to the triple lens cameras. Adding to that, these cameras also have Master AI 2.0 feature, which is primarily the company’s AI-powered scene recognition system that can recognize upto to 1500 different scenes. The portraits shot on the Mate 20 cameras are remarkably good. The ultra-wide camera sensor also captures beautiful images with a very less loss of details in the image. On the whole, the Mate 20 Pro captures excellent photos with high dynamic range and superior color details. There’s AI HDR mode as well that helps you highlight the images according to the lighting conditions. The Nightlight photography is also quite decent on the Huawei Mate 20 Pro. However, a better front-facing camera would certainly have made the Mate 20 Pro the #1 smartphone camera of this year, in our awards segment. Carrying forward a much better single camera from the Pixel 2/2XL smartphones – the Google Pixel 3/3XL cameras are still the best camera smartphones of 2018. Featuring a 12.2MP camera with a f/1.8 aperture, both of the Pixel 3 cameras are again standing superior amongst the other flagships out there. The excellent cameras of the Pixel 3 devices get a new feature called focus tracking this year. Basically what it does is whenever you tap the desired object in the frame while capturing, it doesn’t lose the focus on the image even when the object moves in the frame. This helps to achieve better pictures with a precise focus on the object. Moreover, Google has also introduced new NightSight feature with these Pixel devices that lets you capture remarkable photos in low light or almost no light (pitch dark as well) conditions. Night Sight utilizes longer exposure times coupled with Google’s software that ultimately delivers excellent photos in low-lighting conditions. Similar to the earlier Pixel devices these new Pixel 3 devices also have Google’s admirable Machine learning capabilities that allow you to capture images in the background when the camera is open even before the photo is captured. This helps in capturing precise highlights in the background and makes the image more natural and vibrant. And, needless to say, the Portrait shots on the Pixel 3 devices are top notch, be it the focus on the object/person or the precise bokeh effect around the edges, the Pixel 3 camera undoubtedly excels making the Best Camera Smartphone of 2018 in our PhoneRadar Awards category. The year 2018 has been exceptional for smartphones and particularly their screens. We have seen several innovative smartphones in this segment from various OEM manufacturers. The screen-to-body-ratios have been increased drastically and have been competitive amongst the premium smartphones. Back in 2017, Essential brought the first almost no bezel display with a tiny chin and even thinner notch. And, after Apple introducing its 10th anniversary iPhone X with a notch on the front to accumulate the front cameras and Face ID tech, all the other major smartphone manufactures, besides Samsung have adopted that notch design. Henceforth, all the notable premium smartphones this year have featured different kinds of notch displays. However, not everyone loved the notch displays, and many felt it was intruding their smartphone experience particularly while gaming and watching videos. For those, the smartphones have become bezel-less displays – thanks to companies like OPPO, VIVO, and Xiaomi. These companies took a step further and had utterly ditched the notch on the front; instead, they opted for a new way of hiding the front cameras to give users a full screen (no bezel) smartphone experience. These companies have achieved that by utilizing motorized parts to hide the essential elements of a smartphone – such as cameras, sensors for instance, in a pop-up or a sliding mechanism. Since these phones have a motorized mechanism, the longevity is yet to be known, besides that users can experience their full screen no bezel displays. The following are the Top 3 smartphones we have shortlisted for our PhoneRadar Awards – Best Bezel-less Display Smartphone of 2018. Xiaomi was the pioneer to launch the first bezel-less smartphone with the launch of its MI MIX, back in 2016. While that was not wholly bezel-less but featured a big 6.4-inch display, which had screen stretched to all three sides and with a noticeable chin on the bottom. The successor to it was launched again by the company called – the Mi MIX 2. The design was quite identical to the predecessor; however, the bezel on the bottom has been shrunken down giving you a 5.99-inch 18:9 display that had a 91.3% screen-to-body-ratio. The overall design of the MI MIX 2 was stunning and has surely been one of the beautiful design smartphones. Xiaomi had also launched Mi MIX 3 in China that featured a 6.39-inch full-screen display with 93.4% screen-to-body-ratio and even a motorized slider set up to hide the front-facing cameras and sensors. Let us get to the motorized parts in a smartphone, which instantly reminds us of the OPPO Find X smartphone. The Find X was released earlier this year, and it has been the first phone to use a fully motorized mechanism to hide all the cameras and sensors on the top of the smartphone. It featured 3D Face Unlock authentication for which the required sensors have also been tucked away along with the cameras on the top. All this complicated and yet futuristic mechanism is solely to achieve the stunning 6.4-inch no bezel display, which the company calls it the Panoramic Arc Screen with an aspect ratio of 19.5:9. The screen had been the industry’s first smartphone to have a 93.8% aspect ratio. As stated, all the cameras including the 3D cameras, front camera, dual rear cameras, and the multiple intricate sensors have been tucked away on the top of the smartphone, which features sliding up/down mechanism, when required. Moreover, since it is a motorized panel, after all, the Find X has also equipped sliding structure fall protection alongside the 3,00,000+ durability test as well. That said, it had been chosen to be #2 on our PhoneRadar awards is due to its steep pricing in the country, it had been launched for a price around Rs 60,000. Even before the OPPO Find X, Vivo has achieved the full screen no bezel display with the launch of Vivo NEX smartphone. The NEX had also been the first smartphone to feature a pop-up sliding front-facing camera on the top of the smartphone. Unlike the Find X, where entire top of the phone was a motorized panel for hiding cameras and sensors, the Vivo NEX intelligently hides the necessary front facing camera instead. This made Vivo NEX less risky since the rear cameras are rigid, and only the front camera pops up when required during a selfie. In the Find X, the motorized panel needs to be utilized every now an then, this is because right from using rear cameras, front-facing cameras, and the 3D face unlock, which is often used to unlock the device, all these make the longevity of the mechanism doubtful. This is where the Vivo NEX plays smart. The Vivo NEX also featured an on-screen fingerprint scanner to unlock the device, which is yet an added advantage and also pretty convenient. Furthermore, the Vivo NEX features a bigger 6.59-inch AMOLED display with a screen-to-body-ratio of 91.24%. To conclude, we can unquestionably believe that the Vivo NEX, with its low-risk pop-up camera and inbuilt fingerprint sensor and a much cheaper price point than the Find X, (the Vivo NEX is currently priced at Rs 44,990 on Amazon) has made the Vivo NEX to be crowned as the Best Bezel-less Display Smartphone of 2018 in our PhoneRadar Smartphone Awards.